Today I want to talk to you about a brand I recently got to try. It's MyChelle Dermaceuticals and they are not exactly new (they've been around since 2000) but I'd never had the pleasure of trying their products before. I'd seen them in Ulta some and I know they're available a few other places. I've also heard people speak on their products before. What really caught my attention was the Remarkable Retinal Serum. I had been wanting to try something with "Retinal" for a couple years, I'm just 28 but then again I could also word that as....oh my I'm almost 30. As of late I've noticed more fine lines around my eyes mainly. I've had to be really picky with concealers and you'll note from my last concealer review I did, I didn't like the concealer because it went into my fine lines and made them more apparent. So after that I really decided to step up my "anti-wrinkle" game. I've always used moisturizer, toners, all that good stuff but eye cream wasn't something I used until about 5 years ago. So now I feel like I'm paying for that. Thus, back to "Retinal". Retinal is a form of Vitamin A (a strong Vitamin A at that), also an antioxidant, helps promote collagen, and prevents and helps stop the aging process such as wrinkles. Now some people hear "Retinal" and start worrying because it has a reputation of "irritating the skin". That's more likely for the "prescription retinal" more so than the non-prescription kind. Which could still be irritating to skin I'm sure, but if you have sensitive skin in general a lot of things can be irritating. "Made without GMO, Gluten, Parabens, Petroleum, Phthalates, Silicones, Sulfates, Ureas, Artificial Fragrances, and Artificial Colors. Vegan. 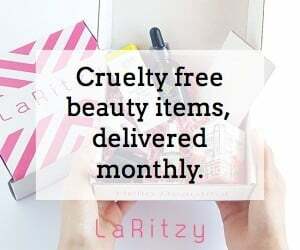 Cruelty-free." So that already is a huge plus. So far I'm really loving this serum I use it every night after I've cleansed my skin and I apply about 2 pumps and then I wait for 30 minutes and apply my moisturizer. You don't have to do that, but it does say "for maximum benefit, wait 30 minutes before applying your moisturizer". It hasn't bothered my skin in the least (for reference I have normal skin) and I love the way it feels. I've not been using it for that long but honestly my skin seems to love it and I feel like it's tightened it up though it's been a short amount of time. Really impressed with this and it is my favorite out of the 3. Next up is also a serum and it's the Perfect C Serum. This has "17% L-Ascorbic Acid Vitamin C " which again helps against lines and wrinkles. Vitamin C also is very helpful in "brightening" the skin but this specific one is the only one as of yet with an effective anti aging benefit.. You'll note that Vitamin C is used in skin care a lot but this serum actually has "Buddleja Plant Stem Cells" which is actually where you're getting the brightening from in this case. This is of course Dermatologist and Allergy tested as well. It's good for all skin types It's also EWG Verified. I use this in the morning before my regular moisturizer. I can honestly say that my skin looks super healthy and bright. Almost glowy even. The consistency of this is like a typical serum in my opinion where the Remarkable Retinal Serum is a bit thicker in consistency. Either way it definitely makes you look more awake, healthier, and fresh looking first thing in the morning. Lastly is the Sun Shield Unscented SPF 28 Broad Spectrum. I believe this also comes in Coconut if you prefer a scent. Now what I think is cool about this is several things: it says it's "gentle enough to use on infants that are 6 months or older", it's a clear matte finish, it has Vitamin E and Aloe in it which both soothe irritated skin and help with sun burns (if you already had one) plus it's using "Translucent Zinc Oxide and Titanium Dioxide" in place of some rather harsh ingredients that other sunscreens use. Also for those of you who are especially sensitive to fragrance this is obviously unscented. It also is said to be "environmentally safe" with UVA/UVB defense. So to sum all that up, it's a powerhouse of a sunscreen that has everything you could probably want in one bottle. It's super light weight and truly matte finish (at least for me anyway). It's something I don't think twice about putting on because I know that it's doing more for my skin than just protecting it from the sun. It's also good for all skin types as well. So here's my thoughts on this company. I have looked through many products and what I find through reading and also using their products is they want to be as healthy for the customers using it and also for the planet, as they can be. Which you don't see that much of. These days you're lucky to get a company that's cruelty free, vegan, or gluten free. To have that and so much more is really such a huge compliment that they value your health and skin that much to go the extra mile. They're products are very "clean" and "natural" so you won't find much that is questionable in them. in my eyes they really engineered a new way of thinking when it came to "nautral" skin care products. Let's be honest, natural products to us is usually just Shea Butter or something with Coconut Oil in it. Or a mixture of Cocoa Butter, Shea Butter and assorted things that are similar. They really changed the game by introducing plant stem cells. anti-aging peptides, and so on. I'm gonna leave their motto or statement below from their site which I feel sums it up best. on clean, natural bioactives that provide unmatched, professional results. All MyChelle Dermaceutical products are Vegetarian, Cruelty-free, and Free of Phthalates, Parabens, Sulfates, Ureas, Artificial Fragrances and Colors, Petroleum, GMOs, and Gluten."